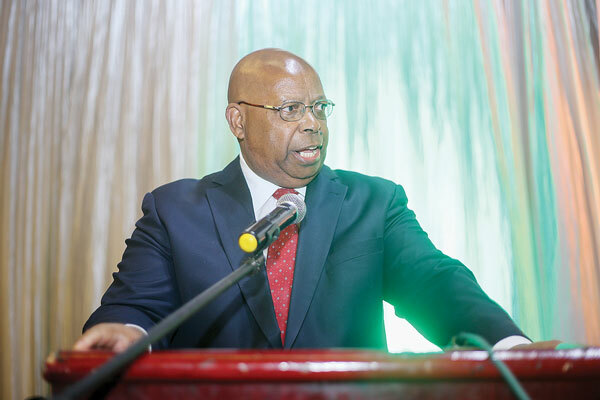 SPEAKER of the National Assembly Jacob Mudenda on Friday said the resurfacing of fuel queues and electricity outages were symptomatic of challenges in the energy sector, which must be urgently resolved because they were inconsistent with government's thrust of enhancing the ease of doing business. Mudenda said this while officially opening an induction workshop for members of the Parliamentary Portfolio Committee on Energy in Kadoma. The workshop aims to capacitate MPs on the operations of the energy sector so that they effectively provide oversight over it. "The reliability of energy supply in Zimbabwe is cause for grave concern as the country generates far less than its optimum requirements and this retards socio-economic development as more often than not frequent blackouts are experienced, leading to diminished economic activity and household comfort," Mudenda said. "This is certainly not consistent with the thrust to enhance the ease of doing business in Zimbabwe. "Relatedly, the resurfacing of petrol and diesel queues was symptomatic of deep-rooted challenges in the energy sector, and as such the Energy Parliamentary Portfolio Committee should leave no stone unturned as it entangles the energy conundrum in Zimbabwe," he said. Mudenda said many productive hours were being lost as people spend endless hours queuing for fuel. "The energy committee's reports and recommendations, therein, must lead the process of identifying solutions that will close the energy gap in Zimbabwe. Parliament's role is to ensure that sound policies are in place to attract the much-needed investment in the energy sector." The Speaker said the committee should drive the clean energy agenda which compels countries to migrate to carbon neutral and clean energy sources such as solar and wind energy. He said unsustainable energy production practices fuel climate change which in turn threatens the capacity to generate more energy. Mudenda said the energy sector was one of the major drivers of greenhouse gas emissions that lead to climate change and pollution. "There is no State institution that should not be accountable to Parliament. This means, therefore, that this committee must ensure that all State institutions involved in the energy sector act constitutionally and in the national interest," Mudenda said. Chairperson of the energy committee Joel Gabuzza told NewsDay that while the fuel port and pipeline in Beira, Mozambique, was damaged, Zimbabwe was still assessing the damage in terms of fuel supplies to the country. "Three days ago, the energy committee visited NOIC (National Oil Company of Zimbabwe) fuel tanks and we were told that there is enough fuel stored in the tanks and that we will be able to survive. It is just an issue of fuel companies getting enough foreign currency to purchase the fuel which could be the bottleneck," Gabuzza said.